A most-wanted set featuring our best-selling Luminizing Black Charcoal Mask and pretty-in-pink sister Luminizing Pink Charcoal Mask. 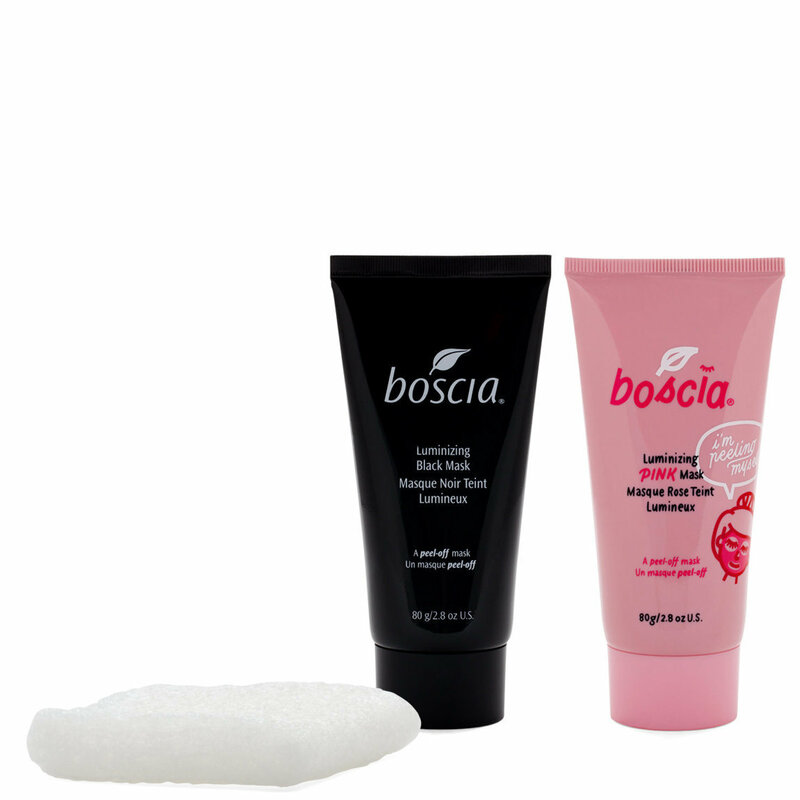 Also includes a Konjac Cleansing Cloth. The perfect masking made easy trio to banish blackheads, detoxify, and refine for pore-fected and radiant complexion. Charcoal works to absorb excess oil and impurities to help purify and minimize the appearance of pores. Konjac Cleansing Cloth provides exfoliation for a deeper cleanse before you mask for maximum mask benefits; can also be used to remove leftover mask residue. Luminzing Black Charcoal Mask and Luminizing Pink Mask: Apply a thick, opaque, even layer to clean, dry skin. Avoid eye area, eyebrows, hairline and lips. Leave on for 30 minutes or until completely dry. Gently peel off the mask from outer edges and rinse off any residue. Follow with moisturizer. Use once or twice a week. Konjac Cleansing Cloth: Soak the Konjac Cleansing Cloth in warm water before each use to allow the cloth to fully expand. Gently massage cloth in a circular motion onto the face. Can also be used to remove leftover mask residue. Charcoal Powder: Absorbs excess oil and impurities to exfoliate deep into pores and refine skin’s overall appearance. Konjac Root: Absorbs debris and impurities, promoting a deeper, more thorough cleanse with long-term skin-smoothing and pore-minimizing benefits.